Welcome back! This February we celebrate the Lunar New Year on 5 February and Saint Valentine's Day on 14 February, which also happens to be my 16th anniversary in Thailand. 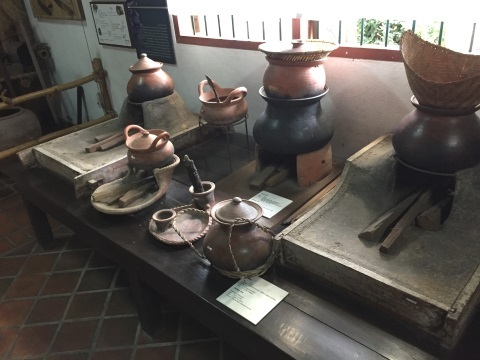 In this issue, we recall our visit to Phitsanulok with a tour of a quaint local museum set up by a man who is very passionate about preserving the cultural heritage of the communities in the region around his home. 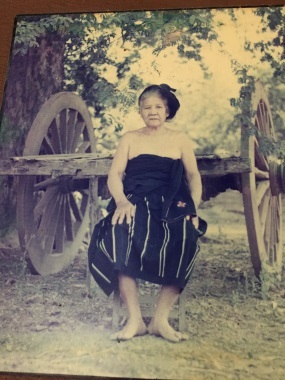 Thawee Buranakhate (Lung Ja) was born on 9 October 1932 in Phitsanulok. As his family was poor, he only completed three years of high school before leaving school to join his father as an artisan. In 1953 he joined the Royal Thai Army as a painter in the Third Army in Northern Thailand. Later he transferred to the mapping section of the Third Army. In 1959, after four years of military service, he left the army as a Sgt-Maj and joined Department of Fine Arts as a metal caster. 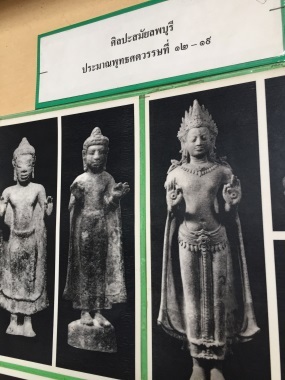 When he returned to Phitsanulok, his works included casting the statue of King Naresuan the Great in the Naresuan the Great Barracks and the name plate in the headquarters of the Third Army Region. Sgt-Maj Thawee is affectionately called Lung (uncle) Ja. Ja is the prefix for military ranks in Thai involving the word sergeant e.g. sgt-maj – ja nai sib ak, platoon sgt – ja nai sib tho). Ja is like sarge in English. Non-commissioned officers are affectionately called Khun Ja. 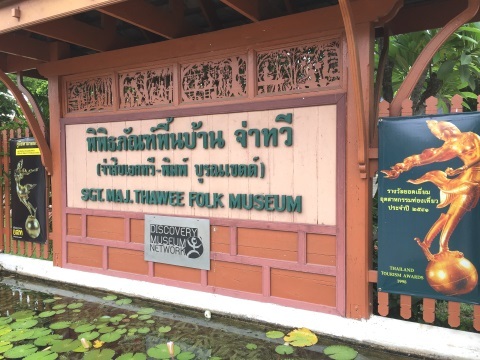 In Thai the museum is called Ja Thawee Folk Museum. For the rest of this article I will refer to him as Lung Ja. 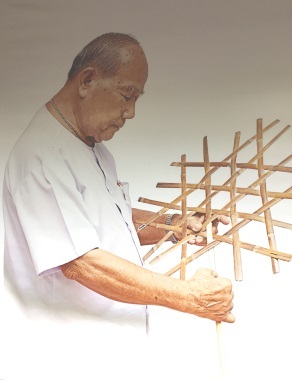 Lung Ja spent 20 years of his life collecting various photographs, utensils, tools and works of art that reflect the traditional Thai way of life in provinces from the Lower Northern Region, viz Kamphaeng Phet, Nakhon Sawan, Phichit, Phitsanulok, Sukhothai, Tak and Uttaradit. 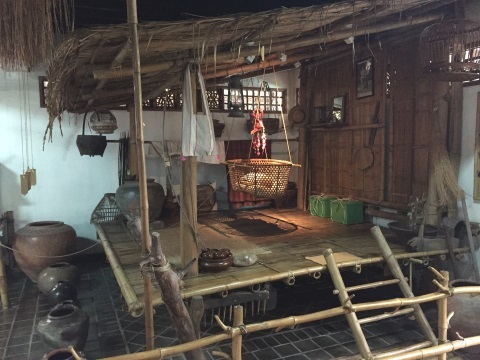 The result is the Sgt-Maj Thawee Folk Museum, a cultural treasure trove that provides visitors with a nostalgic trip to the past. Lung Ja received an honorary doctorate degree in Arts from the Srinakarinwirot University on 29 June 1984 and his name is prefixed with Dr in some websites. across the road from the museum. 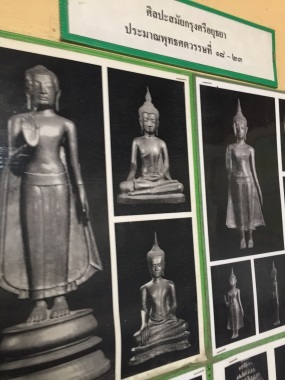 Let me share my recollections of my tour of this unusual museum on a pleasant Saturday morning in Phitsanulok. 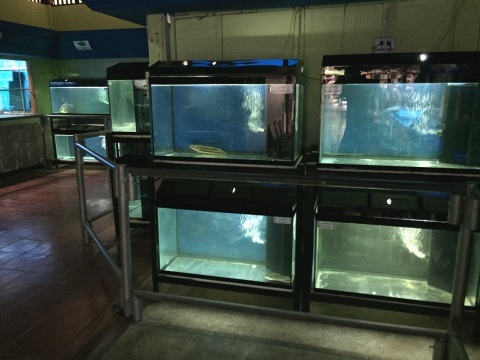 Other than the souvenir shop, building 1 consists of aquariums displaying various kinds of local fish. 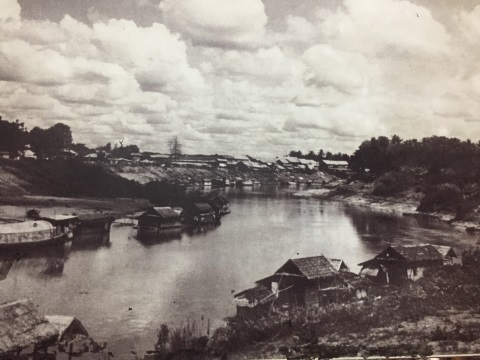 A brief history of Phitsanulok is covered in the November 2018 issue. I will just highlight some of the major events preserved in building 2 of the museum through some of the priceless old photographs on display. 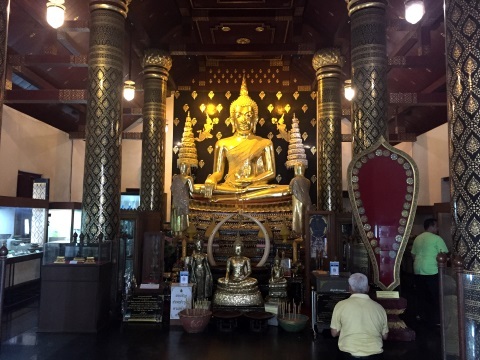 Phra Phuttha Chinnarat is a very famous and highly revered Buddha image in Thailand. The Buddha image was installed in Wat Phra Si Ratana Mahathat (Wat Yai) which was built in 1357 in Phitsanulok during the Sukhothai era. 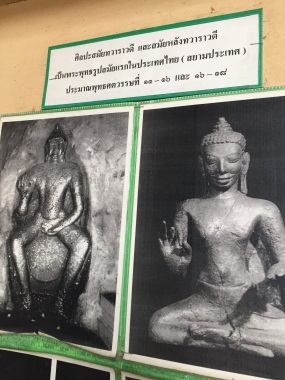 In 1890 King Rama V expressed a desire to have a replica of this famous Buddha image to be installed in Bangkok. 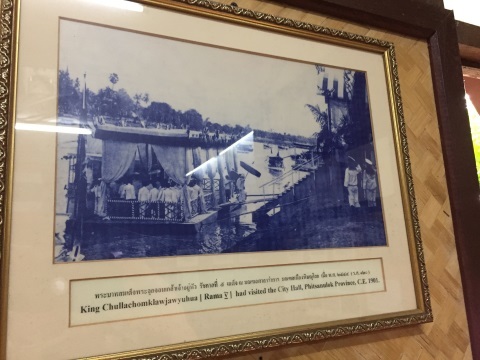 The casting of the image was done in October 1891 and the completed image was transported by boat to Bangkok and installed in Wat Benjamabophit, the Marble Temple. 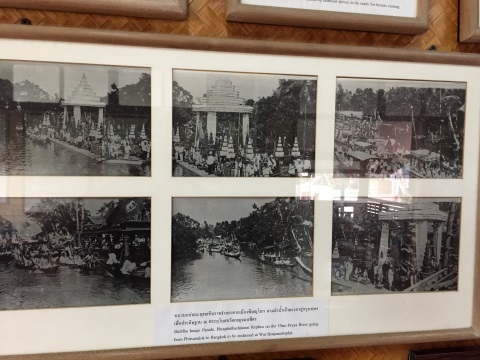 Here are more old photographs of Phitsanulok taken in the early 1950s. This building and the space outside display many of the very old home and farm appliances. 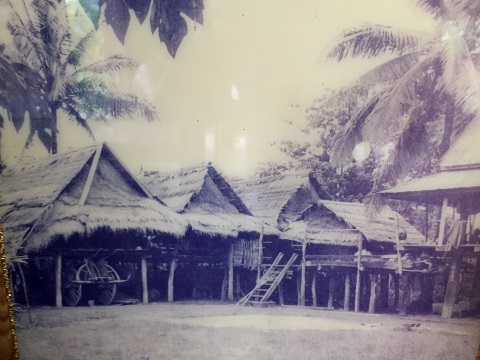 This must be more than 50-60 years ago, before modern appliances and electricity were available in many parts of SE Asia. There are so many of these items, I will just highlight some of them. The wooden device below was one of the first outdoor exhibits that caught my eye. 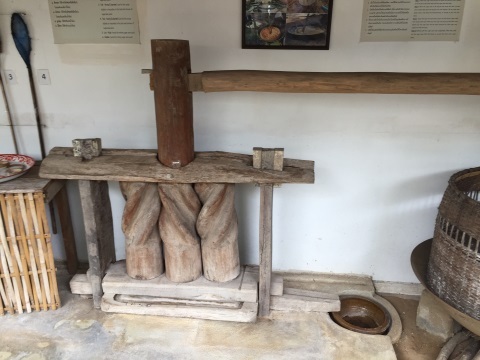 It's a sugarcane crusher; the sugarcane is inserted between the three vertical columns below and the long lever above is turned to squeeze the juice out of the sugarcane. 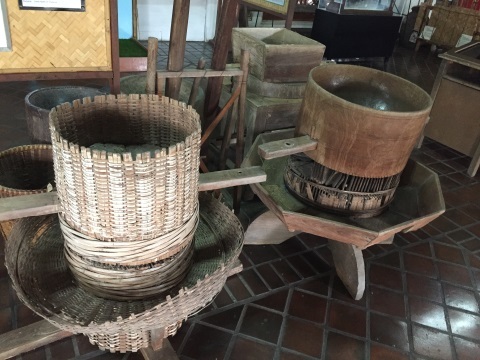 Traditionally, harvested rice is placed in the basket and the lever is rotated to separate the rice grains from the leaves and stalks. 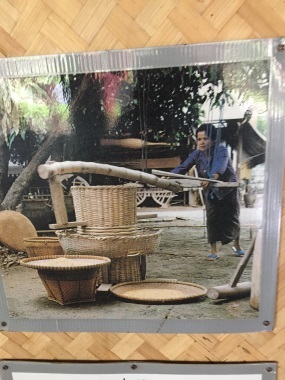 The rice grains are then placed in a cylindrical wooden container and a wooden hammer is used to pound the rice grains to separate the grain from the husk. 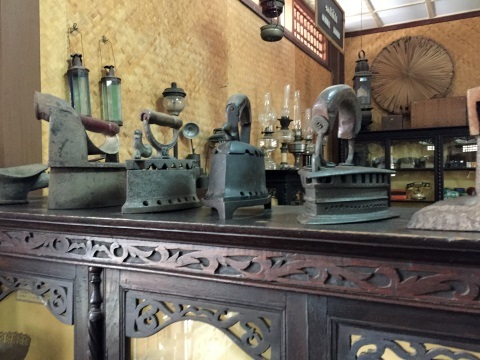 Before the introduction of electric irons and electricity, people pressed their clothes with these brass irons. Hot charcoal is placed in the compartment to heat up the iron which is placed over a banana leaf to smoothen out the hot surface so that it doesn't stick to the clothes being pressed. 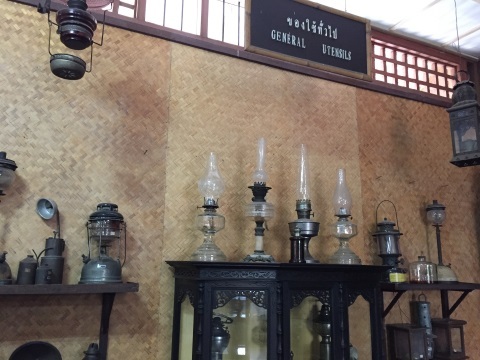 For lighting at night, oil lamps usually kerosene lamps are used. 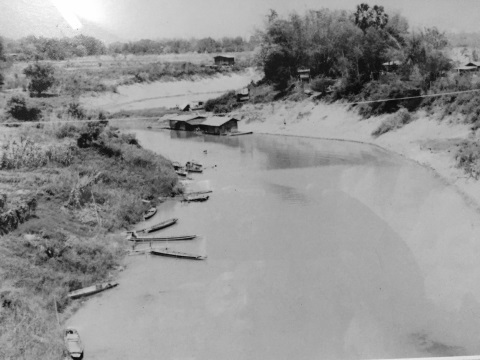 When there was no potable water supply, people used rain water, well or river water. The water is filtered through a jar that is filled with a layer of coarse sand at the bottom and layers of stones and gravel that get progressively bigger towards the top where there is a layer of charcoal. 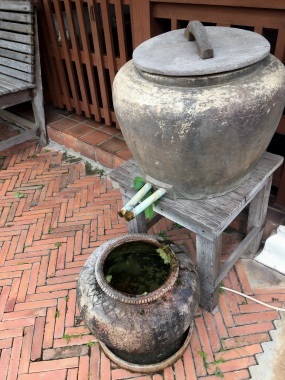 Water is poured into the jar and filtered through these layers to obtain clean water for drinking and cooking. That ends our walk down memory lane. 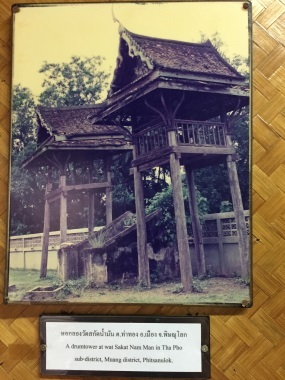 Building 4 is dedicated to preserving the displays depicting the way of life of the Thai Soang or Black Lao Soang who are characterised by their black or dark blue clothing. 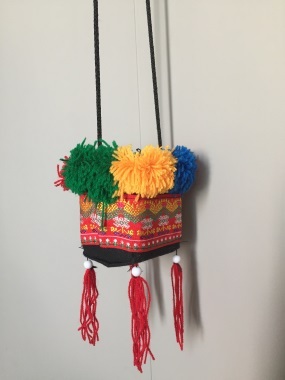 Originally from China, they migrated to the area around Dien Bien Phu in Vietnam where the borders of China, Laos and Vietnam meet. 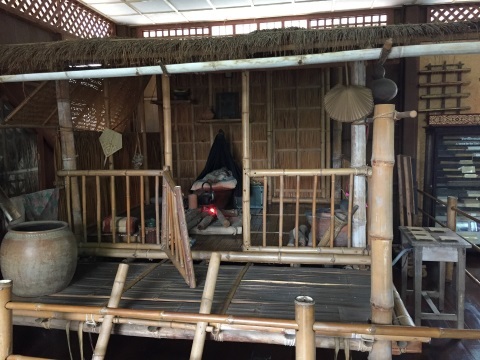 During the wars between Siam and Lan Sang based in Laos, many the Thai Soang were forcibly resettled to various parts of Siam. 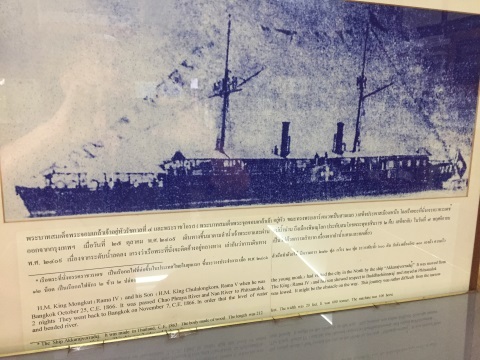 They settled first in Petchaburi, later they moved to Kanchanaburi, Nakhon Pathom, Ratchaburi and Suphanburi. 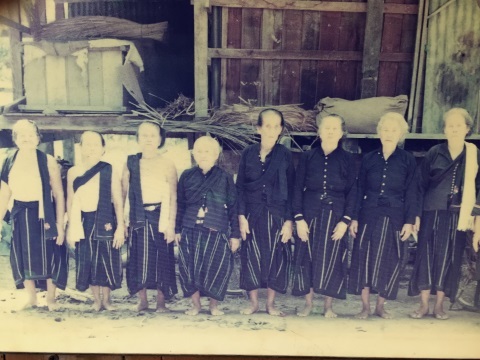 Some of the older Thai Soang had intentions of returning to their homeland and started migrating north. 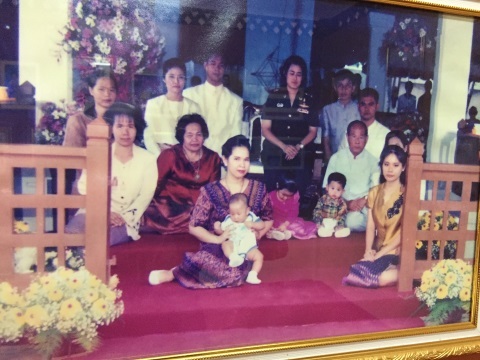 However, with the passing of the elders, the younger generation decided to stay put where they were in Petchabun, Phichit, Phitsanulok and Nakhon Sawan. The Thai Soang community in Phitsanulok is located in Ban Lammakha, Tambon Phansao, Amphur Bangrakam. 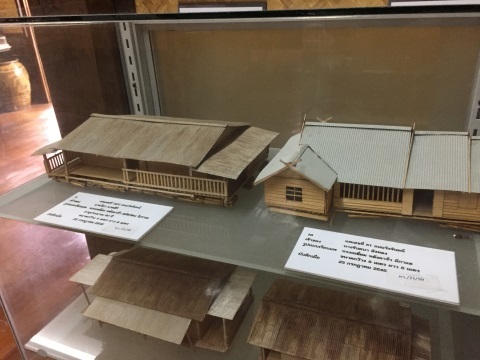 The last building displays some of the proud moments of Lung Ja and the folk museum he started. The crowning honour was the visit by HRH Princess Maha Chakri Sirindhorn to the museum and foundry on 7 September 1989. Other awards were to follow. 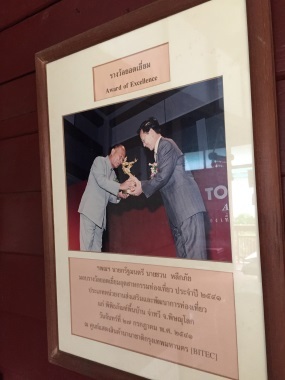 On 17 July 1998, Lung Ja received the Award of Excellence by Prime Minister Chuan Leepai for his contribution to the tourism industry. 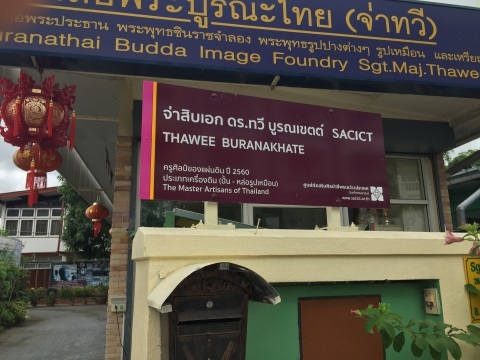 On 31 August 2017, Lung Ja was awarded a trophy by the Support Arts and Crafts International Centre of Thailand (SACICT) by the Chairman Thanin Kraiwichien. Lung Ja will be 87 in October this year. 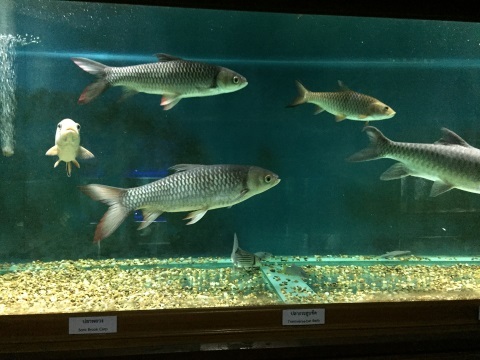 Staff at the museum said that he is well and stays at home most of the time. We wish Lung Ja good health and are grateful for his cultural legacy to posterity. Before you leave return to the souvenir shop and give it your support. Visitors are welcome to make a donation to the museum as well. 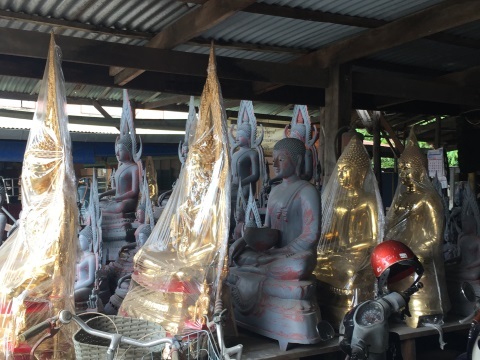 As Lung Ja is a metal caster by vocation, he set-up a foundry, the Buranathai Buddha Image Foundry about 100 m from the museum. 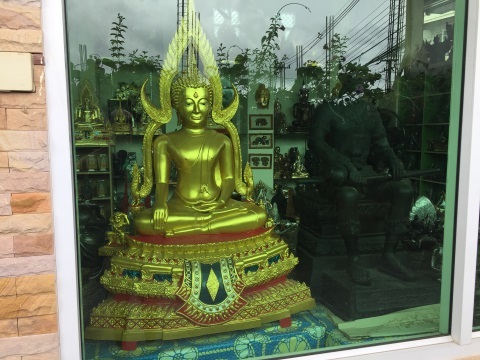 There a shop in front selling Buddha images and some of them are huge. In the foundry further in, there were several images in various stages of completion. 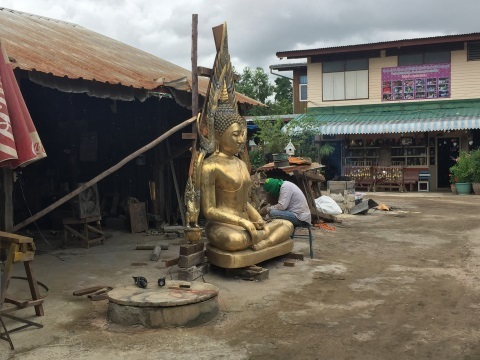 Within the open courtyard, an artisan was working on huge Buddha image. 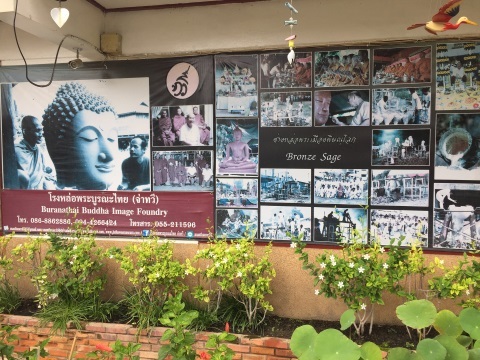 There is also a display board indicating the types of Buddha images through the different eras which turned out to be a great source of information. I'm afraid I'm not able to tell the subtle differences between the various images without the help of the labels. 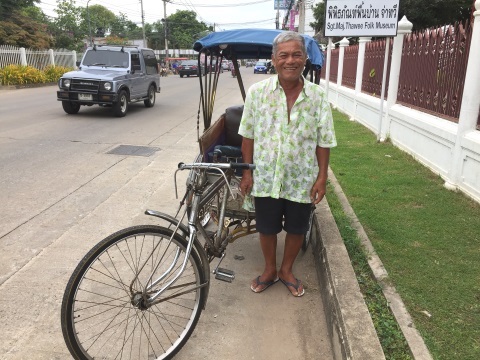 When I stepped out of the hotel to look for a taxi, I noticed a trishaw across the road. I haven't been in a trishaw since I was a boy when my grandmother took me on an outing! As the museum wasn't that far away, I decided to give it a try. Lung knew the way to the museum and pointed out the foundry to me on the way to the museum. He sportingly agreed to have his photo taken.